I was lucky enough to try out some yummy Gluten free porridge from the company Moma Foods. Moma started back in 2005 selling their first on the go breakfast from Waterloo Station and since then they haven't looked back! 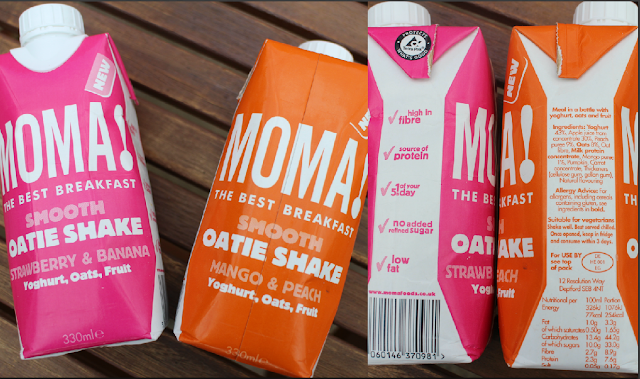 Moma do a few different breakfast choices from Porridge, to Muesli & also the new one the go Oaty Shake! Moma want to banish bad breakfast habits so have brought out instant porridge pots & Oaty shakes. I love nothing more than a instant porridge the ease for in the mornings before a busy school run! I am a porridge lover and so are my children so couldn't wait to give these porridge sachets a try. I was sent the orignal, seeded & Cranberry/raisin. My favourite for sure was the cranberry and raisin. To make the porridge just add your oats to a bowl and pour over some boiling water let it sit for a couple of mins and stir. The oats were chunky and creamy i couldn't actually believe they are gluten free as they honestly don't taste any different! I loved the big pieces of dried fruit and seeds and the sachets are a good size portion per person. I loved the on the go porridges, the oats also come with dried milk powder and natural flavourings, again just boil water and fill to line, wait a few minutes, stir and you have a delicious creamy porridge! I love the Golden syrup flavour it wasn't too sweet and not artificial tasting. 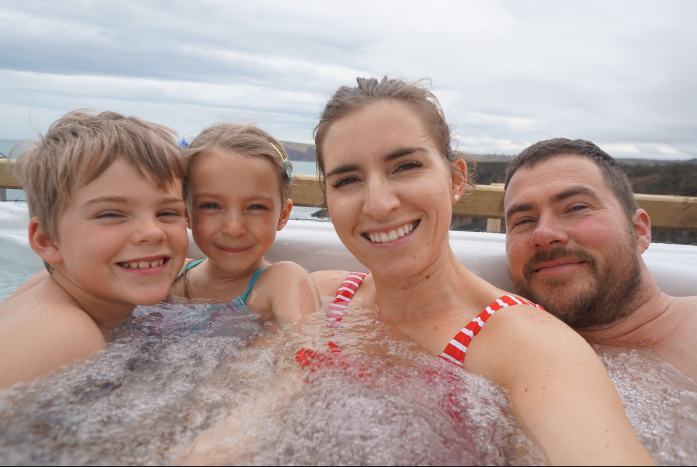 At first i was slightly unsure about the Oaty shakes i was worried it would be weird having a milky oaty drink... but actually its so nice really tasty and filling great for on school run before the gym and i love the flavours! My favourite being the mango & peach. Throughly enjoyed giving the MOMA porridge & drinks ago would definitely recommended the gluten free easy sachets and oaty on the go drinks! Kids loved them to!